Benjamin Moore and Ethan Allen hosted a gathering with leading colour specialist Toni Snyder and Feng Shui interior designer Simone Osswald to officially launch The Benjamin Moore Colour of the Year 2019 – Metropolitan AF-690, a stylish grey with cool undertones. Simone covered the importance of color and furniture placements in relation to Feng Shui while Toni shared her expertise in palette, colour selection and fascination with colour and design. 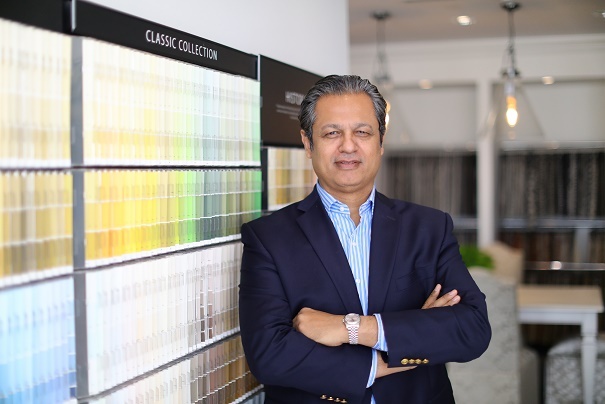 “We are delighted to collaborate with Ethan Allen once again to launch Benjamin Moore Colour of the Year 2019 and it’s always a pleasure to work with them since we both know how to create good content for our target audience”, said Farooq Paracha, managing director, Benjamin Moore Middle East.